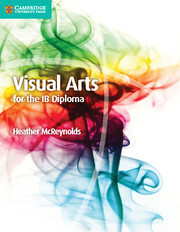 Visual Arts for the IB Diploma student book is tailored to the IB subject guide for first exam 2016. This student book covers each of the core areas of the Visual Arts course and links them to theoretical, art-making and curatorial practices. It includes activities to give students practical ways to learn and reflect on their work, as well as a wealth of case studies and examples of students' work to aid understanding of visual arts in the real world. TOK questions included throughout to encourage students' to make links between Visual Arts and Theory of Knowledge. Definitions of key terms included alongside the text to support students where English is not their first language. Striking images from a range of contexts, capture students imagination and encourage individual artistic style.